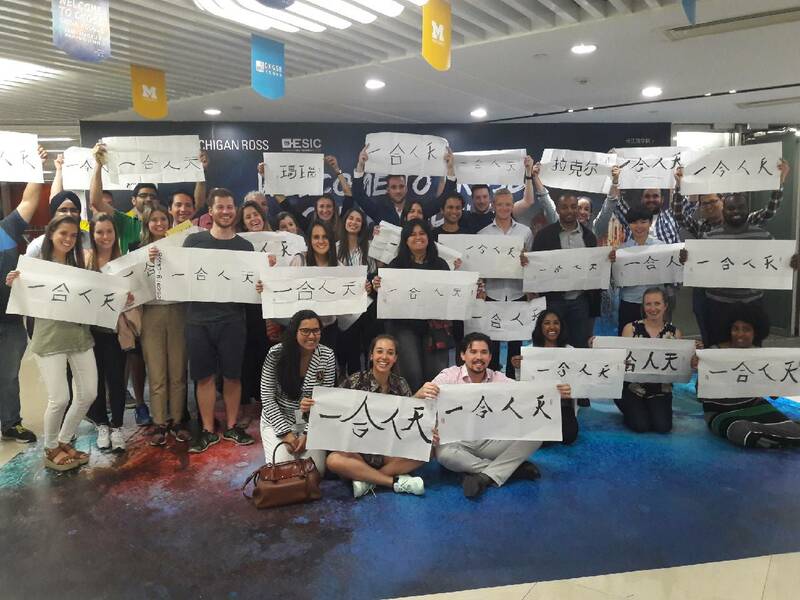 35 PG students different ESIC Campuses participated last May 6th to May 13th in the annual International Business Experience, China Module 2018, organised for the second time with the school´s partner in Beijing CKGSB; the first private independent business school in China and one of the most prestigious in the country. The group, that shared this experience with MBA students Ross School of Business (University of Michigan), attended seminars and conferences by world renowned faculties; examples include “Strategic Marketing in China” or “China´s transformation and its global implications”. Participants also joined several networking events with CKGSB students and Chinese businessmen/woman and visited leading Chinese international companies such as Lenovo. In addition, they also had the opportunity to visit some cultural spots such as the Great Wall or the Forbidden City. This International Business Experience to China, which represents a great added value for PG students´ professional and personal development, is organised annually by the school with the aim of offering a first-hand international experience in the Chinese business environment, providing real contact with the Chinese market place and access to an international network of renowned businessmen/women, professionals and academics.